Last summer I wrote a short p ost for this blog detailing the changes to official reporting of cases from the Court of Justice of the European Union, and asked the question of how librarians would deal with this while waiting for the 20th edition of the Bluebook (BB) to be published. Now that we have received our shiny new copies of the 20th edition, it would appear that there have been no changes to rule 21.5.2(a) that would indicate to the reader that the Reports of cases before the Court of Justice and the General Court, aka the ECR, has ceased publication in print as of January 1, 2012. Not only is the wording of this rule almost verbatim to what appeared in the 19th edition, but “Reports of cases before the Court of Justice” in T3.3 lists the coverage as 1973-date [n.b. not to nitpick even further, but this is technically incorrect, as cases decided before the English-language countries joined the EU in 1973 were translated into English and printed in special retrospective editions of the English-language ECR]; with the recent changes, the most correct coverage date range should instead read 1973-2011. Although the Court’s website indicates that the “Reports of Cases” are now published exclusively online, for BB purposes these Reports should not be cited in a similar fashion, as they obviously lack both a volume number (I for Court of Justice cases, II for General Court cases) and consecutive pagination. The lack of direct guidance on this format change is disappointing because although rule 21.5.2(a) includes a secondary preference for citing to an electronic source “if an official reporter is not available in print”, for journal students and other users who are unaware that the ECR is simply no longer published, I can imagine that much time will be wasted searching for an ECR cite first instead of realizing that anything decided 2012-date will not have an ECR cite. Going further, I was also disappointed to see that in this secondary preference paragraph, the BB editors have added new guidance for finding ECJ cases online outside of Curia: “for cases before June, 1997: http://old.eur-lex.europa.eu”. This is unhelpful on a number of counts, most notably because it implies that cases decided before June 1997 cannot be located and retrieved on Curia (incorrect) and that to find cases before June 1997 one would have to use the “old” version of Eur-lex (also incorrect), which is no longer being updated and currently exists for archival purposes only. One theory as to why the BB editors would direct users to an archival site is that on the old Eur-lex one was able to go to the “Access by year” feature at the bottom of the Case-law page and select any year from 1954-onwards. In the “new” Eur-lex, under “Direct access to case law”, one can only select back until 1973. This again is not a correct assumption of coverage, as case law going back to the beginning can be retrieved via full text search, document number or CELEX number in the “new” Eur-lex. So what is to be done? Even without any guidance in the BB, the sun will still rise in the East and law students will still come to ask for help at the reference desk. My simple solution will be to instruct law review editors and other users to cite the ECR for judgments issued from 1954-2011, and to use the electronic version via Curia for everything 2012-date. Also, let me make a small plug here for the Fordham International Law Journal’s EU Citation Manual which, although they have only made the 2010-11 version publicly available and thus this version does not address the ECR issue, goes into far greater detail on standardizing citations for EU documentation than the BB does and can be quite useful to students writing an EU-source heavy note. The further question of whether to adopt the European Case Law Identifier (ECLI) is still unresolved, but so long as the BB is fine with citations to the URL of Curia, the issue of whether to include the ECLI can wait for another day! Many of us have a nice splash of color in our stacks thanks to the purple European Union case law reporters, known to our students as the ECR but to our catalogs as “Reports of cases before the Court of Justice and the General Court…” However, unbeknownst (or unremembered) to many, as of April 2014 this print reporter has ceased publication – see here, here, and here for more information. The last volumes issued were 2011 v.12C for Series I and 2011 v.11/12 for Series II. One thing we might consider doing to help alert users to this change is to ask our catalogers to include some type of link to the electronic databases – either Curia or Eur-Lex – from our current ECR records, similar to what IALS in London has done. But what does this mean for FCIL reference services, and especially for all of the journal students who are going to come asking for citation help once school is back in session? It’s hard to tell. Bluebook (19th edition) Rule 21.5.2 states that European Union case law citations should include a reference to the official reporter, which is defined in 21.5.2(a) as the ECR. Subsection (a) does go on to state that if an official report is not available in print, one should cite to the Curia website, an electronic database, or a private service. So, one might assume that from 2012 onwards we should instruct students to provide a citation to the HTML version of the case (which are considered official per the court’s own website) using rule 18.1. As part of an initiative taken by the Council, a European Case-Law Identifier (ECLI) has recently been created. That identifier is intended to provide an unambiguous reference both to national and European case-law and to define a minimum set of uniform metadata for the case-law. 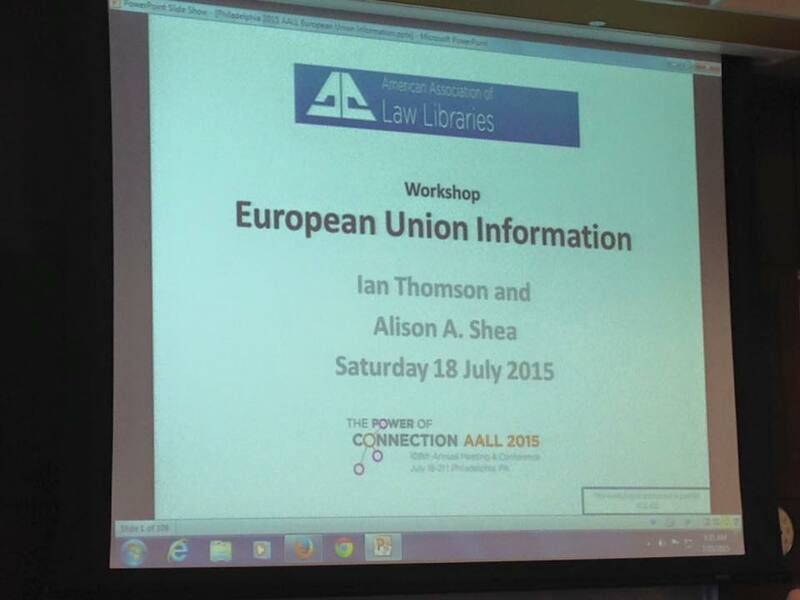 It thus facilitates the consultation and citation of case-law in the European Union. An order number of a maximum of 25 alphanumeric characters, in a format decided by each Member State or supranational court or tribunal concerned. The order number may not contain any punctuation sign other than full stops (‘.’) or colons (‘:’), the latter separating the sections of an ECLI. Following the recommendation of the Council that the Court of Justice of the European Union adopt the European Case-Law Identifier system, the Court has assigned an ECLI to all decisions delivered by the European Union Courts since 1954 and to the Opinions and Views of the Advocates General. For example, the ECLI of the judgment of the Court of Justice of 12 July 2005 in Case C-403/03 Schempp is the following: ‘EU:C:2005:446′. ‘446′ indicates that it is the 446th ECLI attributed in respect of that year. It is interesting to examine some of the cases that are being published online using this new method – see, e.g. Minister Finansów v Kraft Foods Polska SA, available at: http://eur-lex.europa.eu/legal-content/EN/TXT/PDF/?uri=CELEX:62010CJ0588&rid=1. It “feels” similar to what the ECR looked like in PDF, but again, it is important to note that it is not consecutively paginated as part of an official reporter and instead carries the new ECLI citation. So the big question is…how do we advise our students to cite ECJ cases until the new Bluebook comes out? Also, how can we go about ensuring the editors of the Bluebook are aware of this change? Please leave your comments/thoughts/questions below, and do be sure to stop by the European Law Interest Group Meeting in San Antonio, to be held on Sunday, July 13, 2014 at 7:00 AM in Marriott Rivercenter-Salon C (as part of the FCIL-SIS Subject Groups meetings) to continue the discussion there!